At Bea World we want to empower the event community to strengthen their creative output, sharpen their business strategies and find inspiration to innovate their events. “Creative Thinking – The Art of Breaking Routines” will be the overall theme of the educational programme this year and we believe in your knowledge to help participants make new connections to existing ideas. 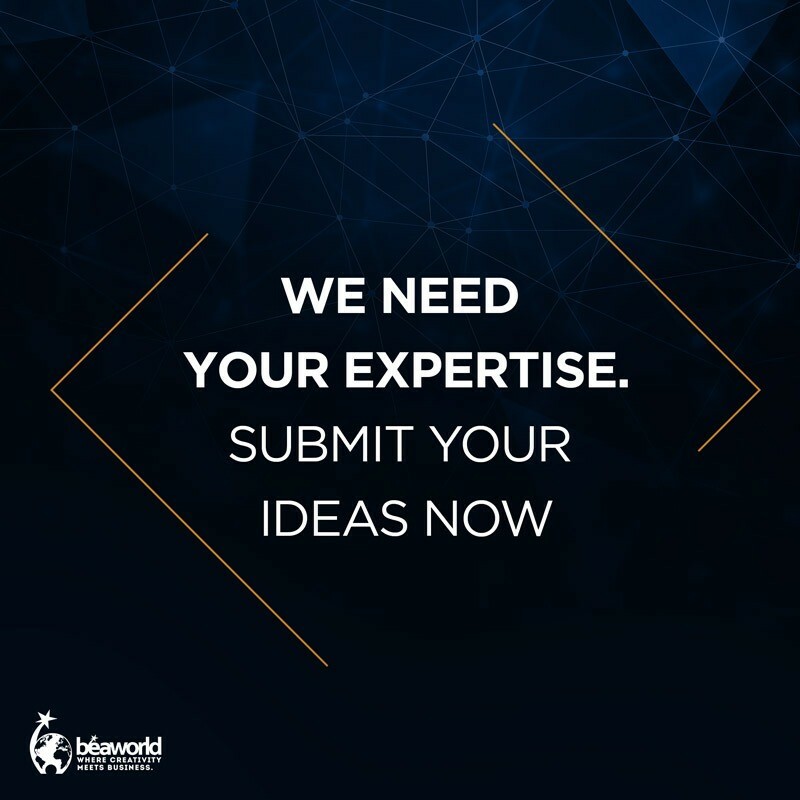 We are seeking innovators and professionals inside and outside of the events industry, who can share valuable knowledge at the 13th Bea World Festival. Submit your ideas for topics and speakers by clicking on the button below. You will be redirected to the Shared XP platform where you can post your inputs and like other people’s posts until July 20. Up to 5 topics/speakers with most likes will be selected. Thank you and see you at Bea World Festival – Where Creativity Meets Businessfrom November 21 to 24 in Coimbra, in the Centre of Portugal.